The pride of the Farm Shop is our wonderful fresh vegetables, sourced via our sister business Tamar View Fruiterers in Saltash. Our aim is to provide high quality produce from the heart of the West Country. We endeavour to source all of our produce locally so that is as fresh as possible, in some cases being picked that morning. With so much fresh produce grown in our area we feel that we owe it to our customers to promote our local growers and suppliers. By supporting us you support them and also provide your families with the goodness of produce fresh from local soils. Any local produce purchased from us means that money is put back into the local economy. The Farm Shop also provides a full range of West Country groceries, including jams, chutneys, spices, pickles, eggs, milk and cheese. You will also find fresh pre-packed sandwiches and salads, provided by Tamar Deli Fresh of Saltash. 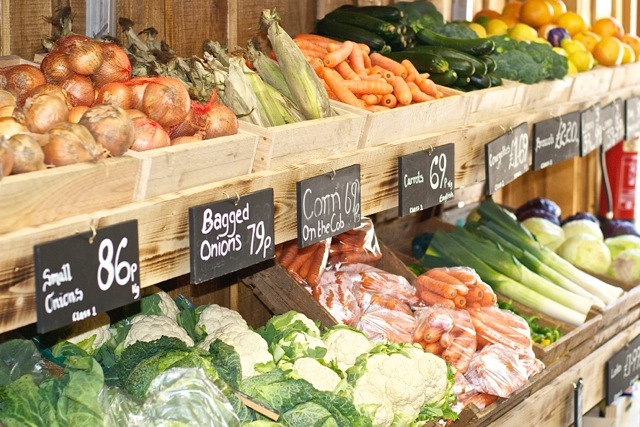 So, whether you are on holiday or live in the area, Quayside Fresh Farm Shop can cater for your fresh produce needs.